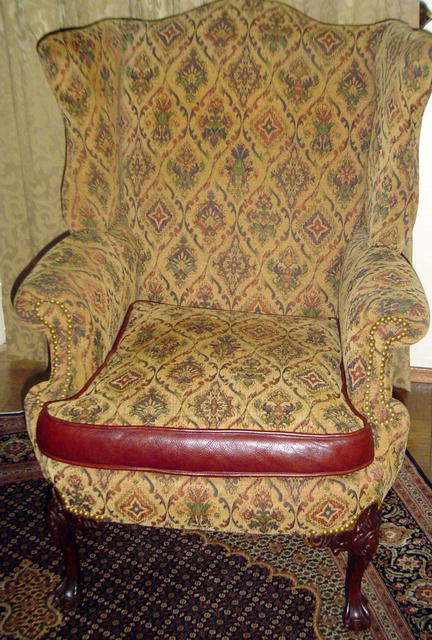 The Georgian style wing chair is from late 19 century. This chair is so elegant, and so comfortable! 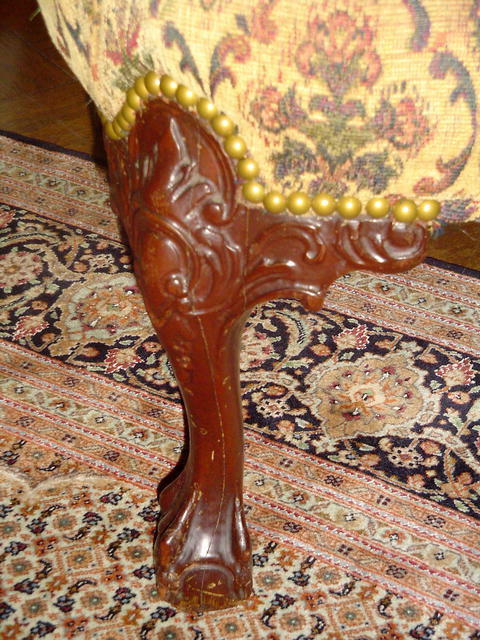 It has fabulous mahogany legs with carved ball and claw feet in the front and back. 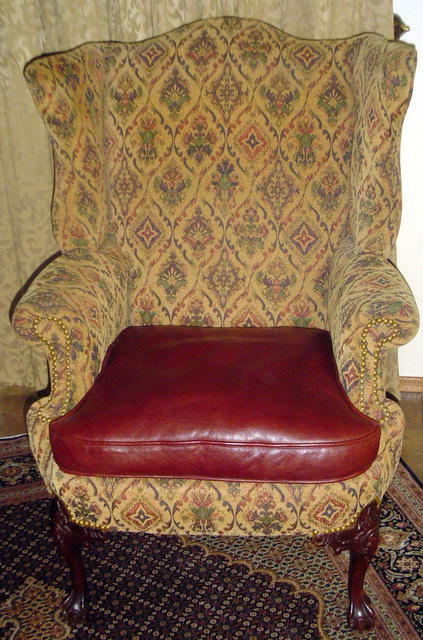 The chair has two sided cushion. 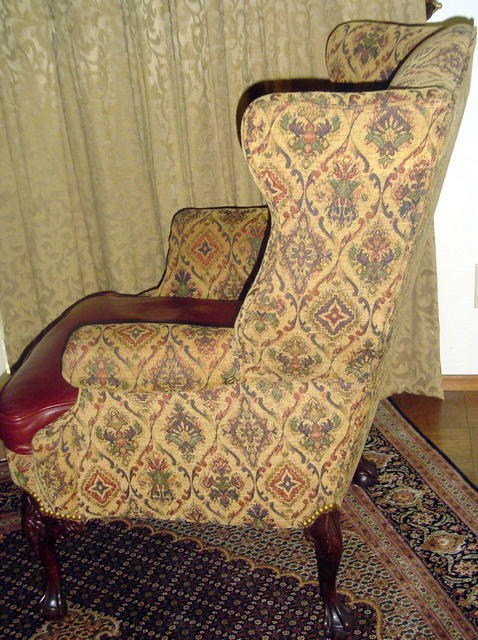 Items Similar To "Mahogany Wing Chair"